Dr. Sue Ann Sanford grew up in Hereford, Texas, a small town in the panhandle and is a graduate of the University of Texas at Dallas with a Bachelor of Science degree. She obtained her Doctorate of Optometry in 2005 at The Illinois College of Optometry.Her experience at Northeastern State University College of Optometry Residency program in Primary Care at the Veteran’s Affairs Medical Center in Amarillo provided Dr. Sanford with the tools to work with her patients to ensure the optimum quality of care. She was a recipient of the Academic Distinction Scholarship to attend the University of Texas at Dallas and was also a LULAC scholarship recipient. She was awarded a Trustee’s Scholarship to attend the Illinois College of Optometry. In addition, she became a Diplomate of the American Board of Optometry in 2015. While away from the office, she is working up to a half marathon by running 5k races. She is married to her college sweetheart and they enjoy time with their three fur babies (2 jack russell terriers and a lab mix). Dr. Gurkiran K Gulati Virdee is a primary care Optometrist with specific interest in Primary care optometry and contact lenses. She attended George Mason University obtaining a degree in Neuroscience, BS with a minor in Information Technology and Psychology. While completing her undergraduate degree, she began working at an Optometrist office and immediately knew she had found her future career. She obtained her Doctor of Optometry degree from the Inter American School of Optometry in Puerto Rico in 2014. Dr. Gulati Virdee grew up in Northern Virginia, about 25 minutes from Washington, D.C. and therefore, yes, she is a Redskins fan! Outside of work, she spends time indoor cycling, taking fitness classes, and travelling. Dr. Jane Kim was born in California, but she moved to Texas as soon as she could! She was raised in the North Dallas area, and she graduated from Southern Methodist University with a Bachelor of Arts in Biology and Bachelor of Science in Applied Mathematics. 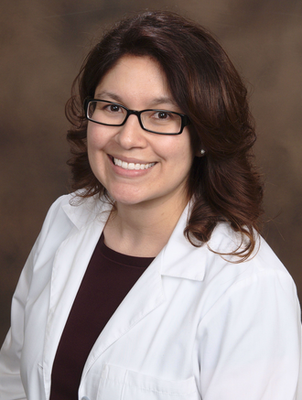 After working at Focusing on Eye Care for over a year and falling in love with the profession, she attended the University of Houston College of Optometry to earn her Doctorate of Optometry. Dr. Kim chose to pursue optometry because she enjoys interacting with her patients and improving their quality of life by caring for their eyes and preserving their vision. She is a member of the American Optometric Association and the Texas Optometric Association. In her spare time, Dr. Kim enjoys traveling, oil painting, and spending quality time with family and friends. Dr. Jonathan Hebda earned his Bachelor of Science in Biology from the University of South Carolina in 2005. He graduated with honors from the Illinois College of Optometry in 2009. He was a member of numerous honor societies during this time. He has been practicing in the DFW metroplex since July 2009. Dr Hebda has been highly trained in ocular disease such as glaucoma, diabetic retinopathy and age-related macular degeneration and enjoys fitting specialty contact lenses . Dr Hebda is also an Optometric Glaucoma Specialist. He lives in Roanoke, TX with his wife and four children. Outside of optometry, Dr Hebda loves to spend his time fishing, playing golf and volunteering with his church. Dr. Zanna Kruoch brings her background with a Bachelor of Science in Psychology, Doctorate of Optometry and residency training in Cornea and Contact Lenses to enhance the patient experience. She is a Fellow of American Academy of Optometry, a Diplomate of American Board of Optometry, a member of the Texas Optometric Association and the American Optometric Association. She was born and raised in the Dallas area. Dr. Kruoch attended The University of Houston for her undergraduate degree and completed her Doctorate at the University of Houston, College of Optometry in 2009. She has been practicing for over 8 years and specializes in primary eye care, ocular disease and specialty contact lenses. In her spare time, Dr. Kruoch stays active with various workouts including spin, running and pilates. She likes spending time with friends and family exploring the DFW area. She recently welcomed a new baby boy in 2016 and loves spending time with her family and her dogs. Dr. Waziha Samin is originally from Bangladesh and put down roots in Irving, TX as a four year old. She attended The University of Texas at Austin and graduated with a Bachelor of Science in Public Health. She followed this up by attending the University of Houston College of Optometry, graduating in 2016 with honors. She was the recipient of the Nelson Reber Eye Open Award for involvement in UHCO and the Metro Optics Excellence in Optics award for skills in specialty GP fits. She is a member of the American Optometric Association, the Texas Optometric Association and Gold Key International Optometric Honor Society. She has always loved how much medicine helps people live more comfortable lives and finds that optometry allowed her to do that in a profound way by helping people with their vision.